Cab File Desk System, for Mini-Vans, provides a writing surface plus lockable storage and has built in ledges to to hold letter sized hanging files. Cab File Desk System for Mini-Vans provides a writing surface plus lockable storage and has built in ledges to to hold letter sized hanging files. Units mount directly to the floor of your vehicle. Measures 20 1/8"D x 9 1/4"W x 13 1/8"H. A hinged lid lifts up to provide a writing surface. Each cab file desk has built in ledges to hold letter sized hanging files and a stationary 7 1/4"D x 9 1/4"W front storage area. A removable storage tray measuring 5 3/4"D x 7 3/4"W x 2 1/2"H sits above the file hanging ledges. Vans with side curtain airbags may have a control module mounted between the front seats, under the vehicle flooring. 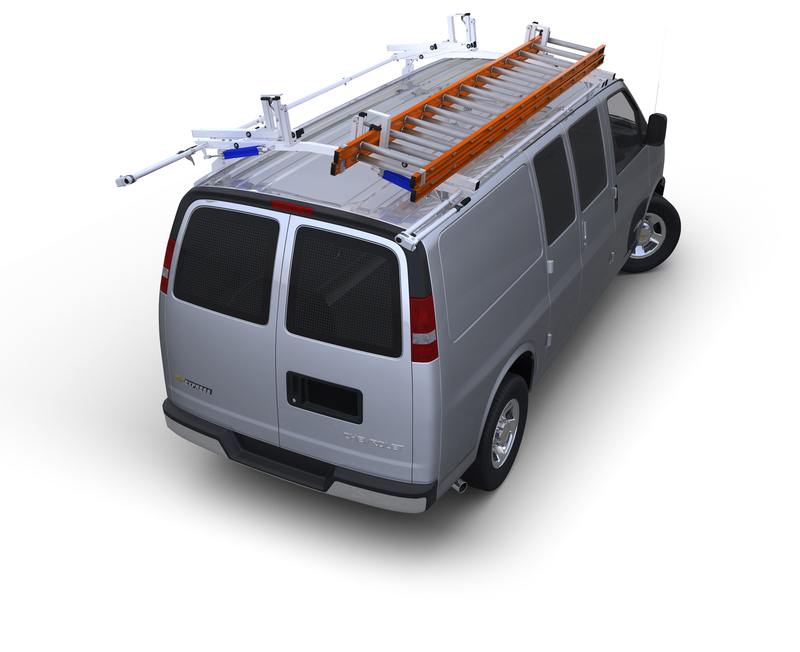 If this is the case in your van, performing a permanent installation of our Full-Size or Mini-Van Desks will require our Air Curtain "Lift Bracket." A permanent installation will require some drilling to attach the cab desk to the Lift Bracket. All components have a durable grey powder coat finish.